A Microsoft Office 365 deployment can be daunting. From a fast user experience, to a cost-cutting productivity platform, your users and CIO are expecting amazing things from Office 365. While it’s your job to deliver on the promise, you’re not going to get very far unless your network has been properly set up for the experience. 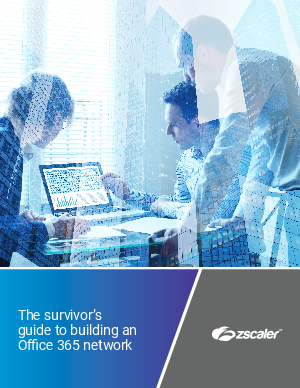 To learn more about how Zscaler can enable your Office 365 deployment with a fast user experience, download this whitepaper today!